At one period of time the number of employees reached one hundred. Still to be seen today is what was the mill manager`s house, very much part of the community, after several owners and renovation programmes including a change of name from Grange cottage, it is well known as Milton House Hotel. Sadly in August 1813, Robert Baxter when returning home to Monifieth, late one August evening, became caught by the incoming tide and was drowned on the Ladybank sands in the river Tay. At Kirkton of Monifieth there had been industrial premises in existence prior to 1801, where wooden ploughs and other agricultural implements were manufactured.. In St Rules Parish Church, the kirkyard monumental stones , give us some clues regarding the Foundry by the Sea. One stone names David Low, Wright of Monifieth who was in business prior to 1820. Another names William Low, machine maker & Ironfounder, who died 2nd January 1840, age 47 years husband of Jean Fairweather. Also James Low, manager Monifieth Foundry, died 17th December 1871 age 57 years. To understand the engineering firm’s beginnings we must go back to the birth of William Low about 1791. Records show a William Low born 8th May 1791 to parents James Low and his wife Margaret Lorimer, who married on 17th January 1778 in Monifieth. Charles Malcolm in his book Monifieth in Modern times, published 1910, states that James Low & Robert Fairweather formed a partnership about 1801 to produce machinery for the flax industry. By 1806 in a single shed in a Monifieth meadow, with four other men, James Low had made his start to what was to become a firm of world wide fame. By 1813 it is recorded that the first ever carding machine for the spinning industry was produced by the Monifieth firm. William Low, son of James became a bobbin maker, supplying the Dundee spinners. Being mindful of the business connections between the Low & Fairweather families it is not surprising that Jane, born 12th June 1793, daughter of Robert Fairweather, in 1820 married William Low. Jane had at least two brothers, George born 23rd August 1795 and Robert, born 1st April 1798. Robert, junior, for sometime carried on the running of the Milton Mill, living in the manager’s house. David McRae`s `Rambles Around Monifieth`, makes reference to a Robert Fairweather, mill manager, being more interested in fishing and catching rabbits, than running the family mill. On the death of Jane`s father about 1820 the spinning operation was closed down. William Low was the sole beneficiary of Jane`s father`s will and being a charitable man he welcomed her brother George into their family home. What was being done with his father`s fortune did not disturb George so long as he had plenty of good things to eat and fine clothes to wear. However, he did prove to be of great help to the expansion of the business. Under strict instruction by William and his sister Jane, he was sent to seek work in Leeds at the factory of Sir Peter Fairbairn. Jane had already prepared for him a special silk hat, lined in the crown with drawing paper. Returning to Monifieth he had acquired one hundred sheets with drawings and plans of how Fairbairn`s produced machinery. One unconfirmed story mentions the drawings being framed and displayed in one of the firm’s offices. The foundry prospered, George was granted a pension for life from the business and was able to buy a new hat every time the fashion changed. The Earl of Panmure granted the lease of land on which the factory was built, reputedly for ninety-nine years at an annual rent of four pence per acre. One story relative to the lease being as follows: As part of the celebrations of the Coronation of Her Royal Highness Queen Victoria, the titles of the Lords of Panmure were restored. Staunch Jacobites they had lost all their entitlements for their activities in supporting the Stuart cause in rebellions and uprisings. There were great festivities at Panmure House. Willie Low`s `black laddies` dressed in their best, with their many emblems of their craft and their musical band were there. So pleased was his Lordship at their turn out he granted the lease of the land in Monifieth. This caused the apprentices to believe that the land was theirs and not belonging to the Low family. William Low for many years boarded and lodged apprentice boys at his home Seaview House. A large wing extended from the back of the mansion, comprising of a dormitory and a dining room. As many as one hundred and twenty boys were at one time living in the accommodation. 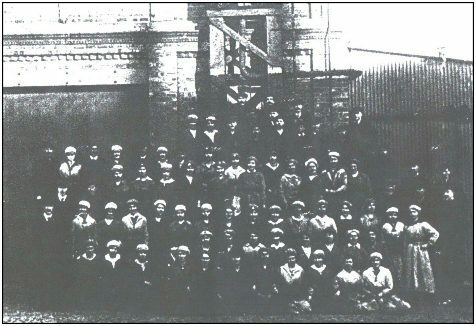 Mainly sons of mill owners and managers they were serving their time in Monifieth, in order that they might be ready to fill responsible positions throughout the industrial world. In 1850 this practice was stopped due to management difficulties. The grand daughter of the one time head gardener at Seaview house, was told by him of how in it`s `hey day` it required a total of thirty two indoor and out door staff to maintain a service for the Low family residents of Seaview House. Stories of the apprentices’ activities have survived. One in particular concerns the housekeeper or matron who was in charge of the meals and accommodation. Jean, as she was known, treated all the boys, who in her opinion could do no wrong, as her own. Porridge was served with beer if milk was in short supply. One day when preparing the meals Jean searched the cellar for drinks for her laddies. She uncovered some dusty bottles hidden under a tarpaulin. Breakfast was past as normal when the bell announced the time to start for work. None of the apprentices appeared. Jean entered the dormitory to find them “all asleep or clean daft”. Willie Low was not amused when called to the emergency situation. Jean was responsible for his hoard of fine Madeira, that he had risked so much to land from a lugger in Monifieth bay, being all gone and giving her boys too much of a good thing. The works were built in a hollow square, the central court covering approximately one acre. The offices and counting room occupied one side, with a main entrance on each side of the building. The three other sides were built close with the shops three stories high. From it`s inception the business thrived and prospered with establishment of Jute Mills in India it benefitted even more. James Fairweather Low, was born 15th March 1825, son of William and Jane. With his brother Samuel they expanded the business. 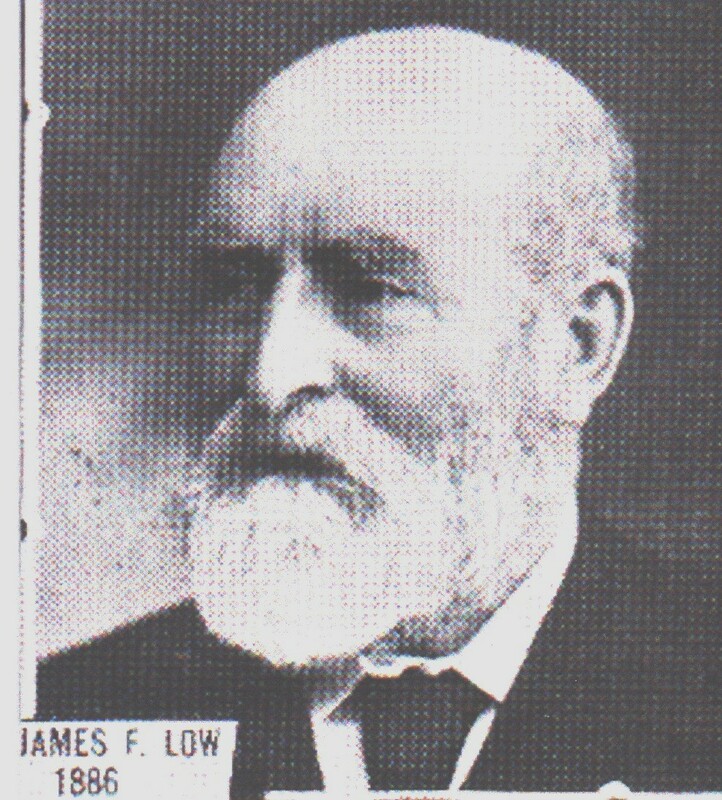 In 1901 on the death of James F Low, the responsibility for the firm was taken over by his son William, whose mother Grace Cox had married James on 2nd October 1861. It is interesting to note that already there are family names connected with Monifieth Foundry, such as Low, Fairweather, Baxter , Cox and Lyell, all easily recognised as being those of the Dundee Jute barons. Family residences built by the Low family include Seaview, Tighnamurin, Tighnaduin, Springbank and Ashlea. 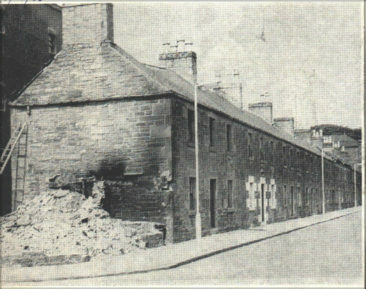 They were also owners of properties occupied by their workforce for example, Foundry Terrace, Low`s Land, Reform Street, notoriously recognised by Monifieth locals as `Poddlie Raw`. The tenement building at 6 Hill Street, was originally built as family housing for the gardeners and coachmen of the Low family. On taking over the running of the business William turned the firm into a limited liability company. In 1911 production was only of spinning machines and carding frames, however, this range was later to include drawing and roving frames. The outbreak of World War 1 temporarily halted the production of textile machinery, in favour of war munitions. 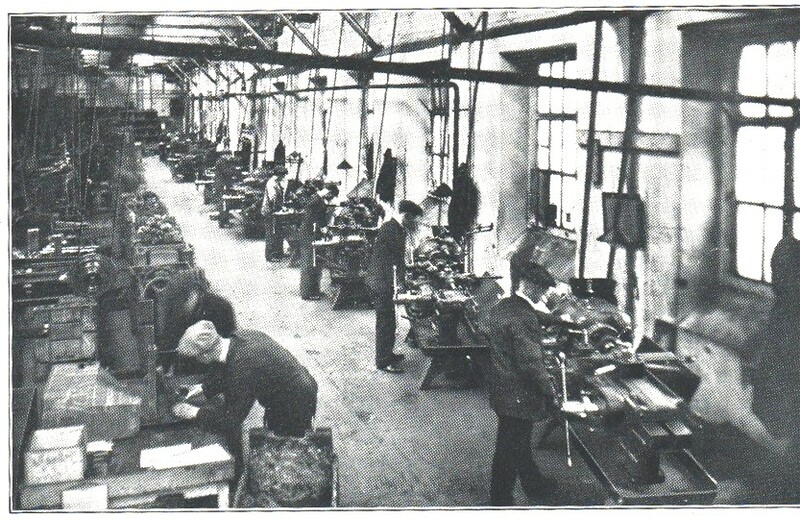 The foundry employed approximately one thousand people, predominantly women, who were on continuous shift work from 6pm on Sunday, until twelve noon on Saturday. Within the buildings was formed a branch of the French Louvrain Shell Company. With around one hundred and forty five people per shift, the output of eight-inch shells averaged one thousand two hundred and fifty. Also included in the production were eighteen pounds shells, French Howitzers, mines, units for tanks and several lathes for other ammunition factories. 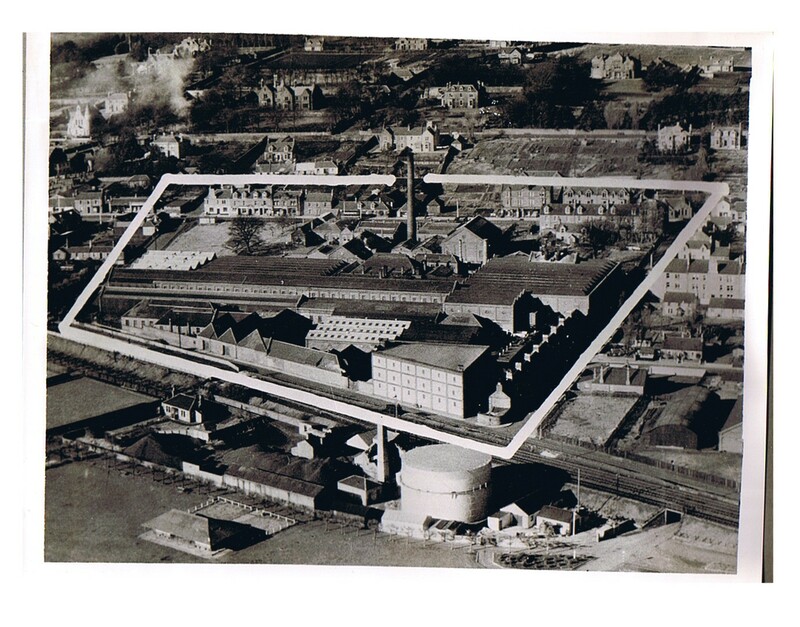 At the cessation of fighting in 1918, the iron founding company opened a works in India to produce textile machinery. Sadly this venture failed with a loss of eighty thousand pounds, mainly by William Low a great grandson of the founder William Low. William retired to live at his estate at Balmekewan House, near Marykirk, Kincardineshire. He was Convenor of the County Council of Kincardineshire from 1925 to 1932. By 1930 over seven hundred men were employed in the works, with another sixty of an office staff. By 1934 it was claimed to have made constant improvements in every machine that left Monifieth Foundry for countries in both hemispheres of the Globe. Exporting equipment made for softening, carding, preparing, spinning and weaving, to over twenty-eight different countries. 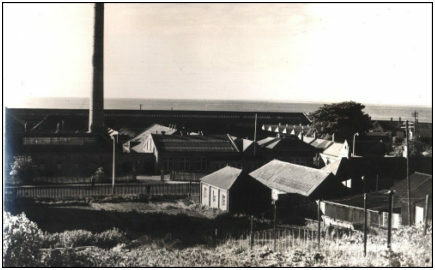 The works premises by this time covered at least fifteen acres, with a workforce over one thousand; many commuting from beyond the Burgh daily, by train, tram and bus. 1940 the onset of World War 11. Made it necessary once again to turn production to the instruments of war and a female workforce. Apart from shells they made and assembled parts for the tail sections of De Haveland bombers, for the Air Force. 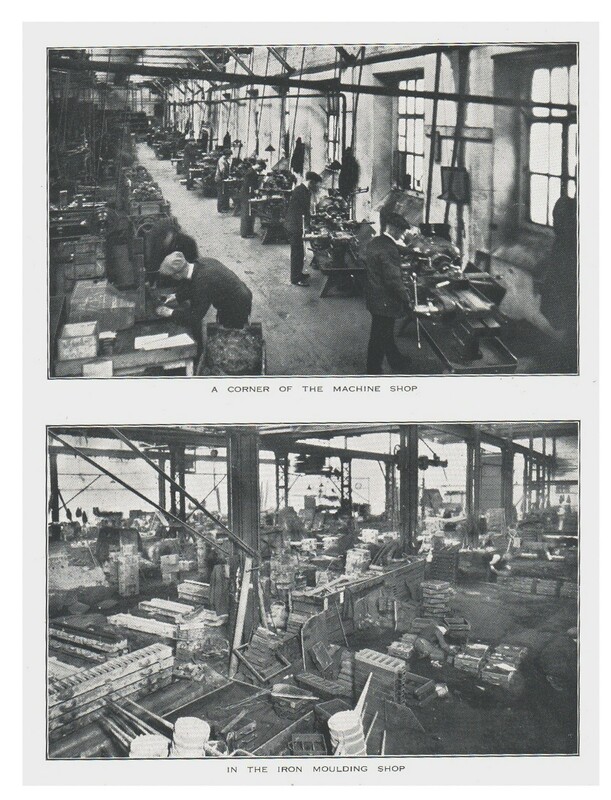 The return of the men from the armed services, found changes being made in the Foundry, due to the recession in the jute and textile industry, operations were transformed to the production of building contractors plant, such as dumper trucks, concrete mixers etc. The firm then assumed the name of Rob Roy and was owned and managed by a family from India. Sadly by early 1980`s all production had ceased and the `foundry` was condemned for demolition to be cleared away to make space for a shopping precinct. The `heart` of Monifieth was gone and very soon forgotten. This entry was posted in Low and tagged Baxter, Fairweather, Grange, James Low, Seaview, St.Rule, Wm. Low. Bookmark the permalink. Very interesting to read. My father, George Nicoll, started his apprenticeship in the foundry, joined the Merchant Navy, finished his time then returned to the foundry. He only had two jobs, apart from the navy, the foundry then Christian Salvesen Cold Store, in his whole working life. Dad took over the maintenance of St Rules clock when his father died in 1948. He carried this on for 53 years so between them, 75 years. I wound and oiled the clock when/if Dad was away, which was infrequent, but when he became quite frail we had to ask for the job to be taken over by someone else. Dad was sad about that. When the cable broke he advised that they should go to the ship’s chandler for replacement. The job wasn’t being done quickly enough for him, and he was not amused at the clock being stopped. One day I noticed that it was working again and mentioned it to Dad. He told me he’d gone in and done it himself one Saturday night. Now – that involved climbing the clock tower using a ladder which would not meet health and safety rules these days. Asked who knew about this? Why would I need to tell anyone”. Asked, “what if you had fallen?”. “They’d have found me in the morning”. I need to read the article more fully, but I can disagree with the final statement. I have never forgotten the “heart” of Monifieth. Brought back happy memories. Thank you. I worked at Monifieth foundry for a year (1966) as a patternmaker re-tooling Massey Ferguson patterns for production in the foundry Itravelled every day from Dundee.